To the Editor: We thank Dr Lund for his comments  on our analysis of cancer incidence and mortality in randomised trials of metformin  and confirm that the Hyperinsulinaemia: the Outcome of its Metabolic Effects (HOME) trial  was excluded because it did not meet our sample size inclusion criterion. 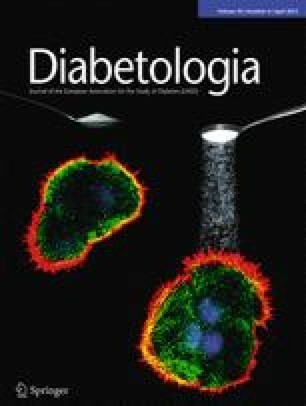 Dr. Lund also calls attention to our sensitivity analysis of all-cause mortality, which excluded one trial, the UK Prospective Diabetes Study (UKPDS) trial of metformin in patients with sulfonylurea failure (UKPDS-S) , from the group of trials in which the comparator was placebo or usual care. This acknowledged post hoc sensitivity analysis was carried out because of the high heterogeneity in this group of studies (I 2 = 50.8%), but Dr Lund correctly observes that we could equally conduct a sensitivity analysis to exclude the other large trial in this group of studies, the UKPDS trial of metformin in overweight patients (UKPDS-O). For completeness, we include here a table of relative risks for all-cause mortality, and corresponding confidence intervals and heterogeneity statistics, for all placebo- or usual-care-controlled trials, and excluding each trial in turn (Table 1). Exclusion of either UKPDS trial, but not any other trial in this group, reduces the I 2 statistic for heterogeneity to 0.0%. We believe that the remarks in our paper that the summary estimates ‘are dominated by the two large trials from the UKPDS group, which appear to show for metformin effects in opposite directions’ and that our analyses have limitations to be overcome by future randomised trials, remain justified. We re-emphasise our observation that the average follow-up for mortality in our analysis is just 2.8 years, and that our results for all-cause mortality in particular are unlikely to fully reflect the long-term effects of metformin. R. R. Holman has, in the last 12 months, received research support from Amylin, Bayer, Merck and Novartis; attended advisory boards with Amylin, Lilly, Merck, Novartis and Novo Nordisk; and given lectures supported by Bayer, Lilly, Merck and Novo Nordisk. R. J. Stevens and B. J. Cairns have no conflicts of interest associated with this letter. RJS, BJC and RRH were responsible for the conception and design of the manuscript, drafting the article and revising it. RJS carried out statistical analyses. All authors approved the version to be published. The authors are writing on behalf of the Metformin Trialists’ Collaboration.